Aric Almirola expressed disappointment after finishing third at New Hampshire on Sunday. This represents a stark difference for the driver from Tampa, Florida. “I’m disappointed. You think I’d be really excited to run top five and I’m not. We had the best car hands-down. There’s no doubt in my mind. We gave it away on pit road and then I gave it away again on the restart. I spun the tires on the restart and didn’t even give myself a fighting chance, so I’m just really frustrated. Chicago, we had a car capable of winning and we didn’t execute today again with another car capable of winning, and we didn’t get our Smithfield Ford Fusion in Victory Lane. It’s just frustrating. They say you’ve got to lose some before you win some and I feel like we’ve lost some now and it’s time to stop it and go to Victory Lane”, said Almirola. Almirola replaced Danica Patrick as the driver of the No. 10 Ford for Stewart-Haas Racing (SHR) at the beginning of the 2018 season. Many viewed this change as Almirola’s opportunity to prove himself in NASCAR’s premier series. While Almirola has been competing in the Cup series since 2007 and full-time since 2012, he has arguably never been in a position to truly showcase his talent. With SHR, he is driving for one of the hottest teams in the sport. 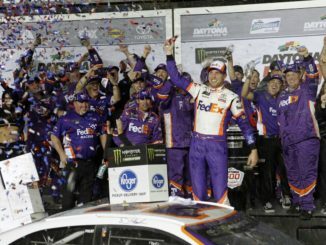 During his full-time tenure at Richard Petty Motorsports which began in 2012, Almirola has had glimpses of hope, including winning at Daytona in 2014, a win to which many attach an asterisk due to the fact it was a rain shortened event. At the end of the 2017 season, Almirola had tallied 244 starts, with one win, only eleven top-fives, with 32 top-tens. During those years, Almirola would have likely been ecstatic to score a third place finish. Not so in 2018. Almirola has in the midst of the best season of his career. He has already scored nine top-ten finishes this season, more than any other season. 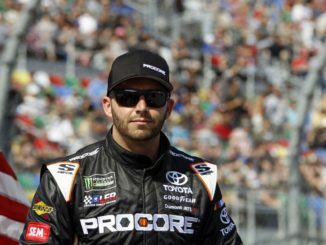 His average finish of 12.6 is five positions better than any other season during his Cup career. 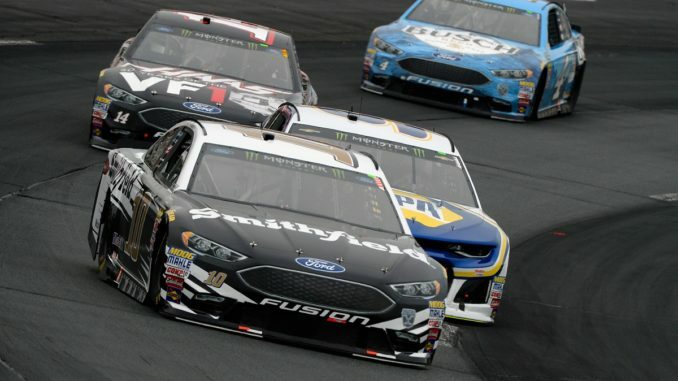 Almirola’s 113 laps led in 2018, far eclipses any other season. In fact, it accounts for 39.1% of his total career laps led. This new, significantly improved, performance has provided a noticeable increase in self-confidence and an entirely new attitude. Almirola knows he now has the equipment capable to win races and contend for championships. This change was evident on Sunday when Almirola expressed his disappointment for a finish many teams would celebrate. To make matters worse, Almirola knows he had the best, or at least one of the best, cars on track, but he and his team failed to execute. First, his crew cost the team several spots on pit road due to a slow pit stop. Later, on a restart, Almirola spun the tires and had a terrible restart slipping backward in the field. While he was able to climb his way back to third, his chance to win had slipped away. Almirola’s competitive nature and new attitude prevented him from celebrating the good showing for his No. 10 SHR Ford.